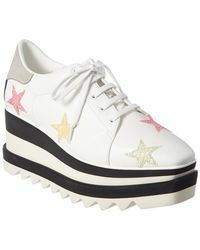 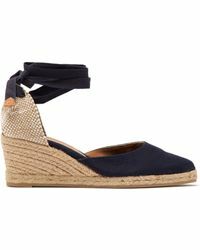 Raise your game in standout wedge shoes for extra comfort but no less wow. 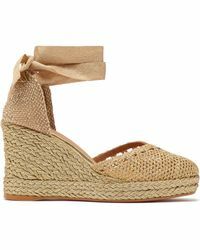 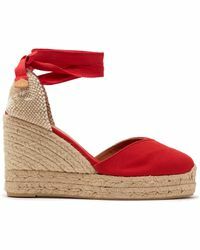 Cork platform sandals are a classic choice for holidays teamed with maxis and denim cut-offs alike. 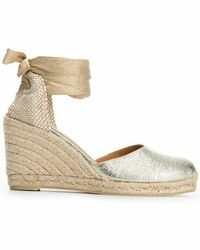 Wedge trainers are the fashion set's pick for cool street style, while pointed toe patent wedges add punch to office dressing. 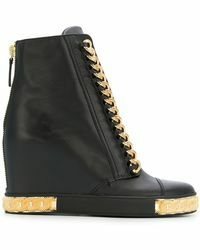 After dark, look to opulent velvet, lavish embellishment and bold sculpted shapes from Jeffrey Campbell, Giuseppe Zanotti and more.